The rise of China is reshaping the world's balance of power, and this makes of it America's main competitor in the Asia-Pacific and beyond. Under the uninterrupted guide of the Communist Party of China (CPC), the country's de facto only political party, the PRC has experienced an extraordinary economic growth since the 80s and is now a great power capable of challenging the US. Despite a gradual slowdown in recent years, its economy is still growing consistently; and it has much potential for further development. China is gradually shifting from an economic model based on low-cost export-oriented manufacturing to one centered on high-value-added production more centred on domestic consumption. In this logic, it has launched the "Made in China 2025" initiative, which also aims at developing its own high-tech corporations; and it has already met significant success in this regard. It also benefits from a quasi-monopoly over the production of rare earths, which are essential in these advanced industries. 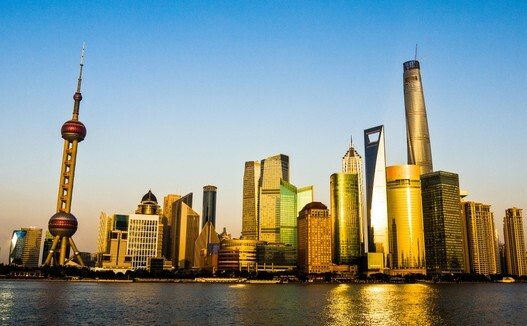 China's capital markets remain stable and its currency (the renmibi) has gained international recognition to the point of being is now included in the IMF's Special Drawing Rights basket of currency reserves. 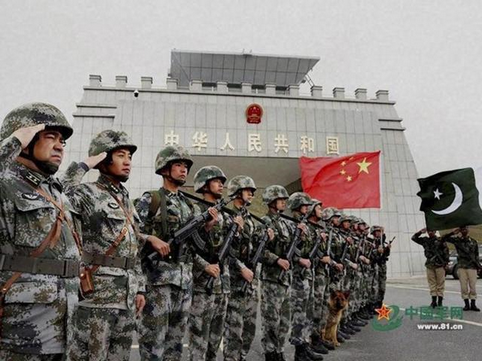 Alongside this economic expansion, China undertook an important (and ongoing) military modernization programme, and now possesses large and powerful armed forces; even though much work remains to be done. But the PRC has significant challenges to face. Its population is rapidly ageing, partly as a result of the longstanding "one-child policy", and the economic transition is still incomplete. Moreover, preserving the economic growth is of paramount importance for the CPC, since its legitimacy as the ruling party is largely based on its ability to improve the living conditions of its citizens. But this poses several problems: the uncertainties over the sustainability of China's economic model, the stability of its financial markets, the need of importing huge amounts of hydrocarbons from abroad and high levels of pollution. Moreover, the PRC is involved in territorial disputes with much of its neighbors and is surrounded by potential threats. As mentioned above, it is America's main strategic rival. In this regard, Beijing still lags behind Washington in terms of economic and military power; yet, it enjoys the advantage of concentrating all its power in East-Asia or the Asia-Pacific, while the latter is engaged in many other regions. Access to the open sea is essential China's economy, but the flow of goods and energy can be easily cut by the US in case of war, especially on chokepoints such as the Malacca Strait; and this would be devastating for China. Additionally, the coast (where much of China's population, cities and economic activities are concentrated) is vulnerable to attacks. Moreover, the situation in the area is complex. Tensions persist in the Korean peninsula, where China keeps supporting the DPRK, but it is also concerned that a war so close to its borders may end with US troops reaching the Chinese border. 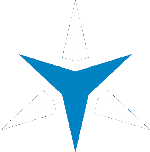 Tensions exist with Japan as well, due to historical resentments, nationalist discourses, a dispute over the Senkaku / Diaoyu islands and the presence of consistent American military forces on Japanese territory. Again, China claims its sovereignty over Taiwan and considers the de facto independent island as part of its territory; and any move by the Taiwanese authorities towards formal independence would trigger a Chinese military response. Territorial disputes exists also in the South China Sea, thus creating tensions with Vietnam, and other states. To the south, Indochina is the ground of power competition between China and other powers like India. There is a strategic rivalrly between Beijing and New Delhi: the two have unresolved territorial disputes over Aksai Chin (controlled by China) and Arunachal Pradesh (ruled by India), and India is concered over China's friendship with Pakistan and over its presence in the indian Ocean. To the east, Tibet and Xinjiang are strategically important regions, but China has to face Tibetan and Uyghur separatism. The northern frontier is probably the safest one, at least as long as Russia and China have reasons to cooperate and maintain positive relations; but things may change in the future. China is also expending its presence in the Arctic, seen as an alternative maritime route to Europe and as a source of energy supply. To face all these challenges, China is taking several initiatives. It is reforming its economic model it is modernizing its military. Its defence strategy includes developing Anti-Access / Area Denial assets to keep the US Navy away. Another notable initiative is the "One Belt, One Road" project, whose aim is to boost trade with Europe via land and sea as well as to ensure access to hydrocarbons while reducing the reliance on vulnerable maritime routes; all while expanding Chinese influence in Eurasia. China's rise is still an ongoing process, but it is clear that it will play a prominent role in the future's international affairs. 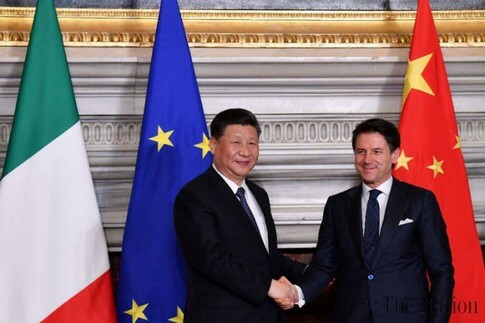 During the visit of Chinese President Xi Jinping to Italy at the end of March, a Memorandum of Understanding was signed regarding Rome’s participation to Beijing’s “One Belt, One Road” initiative, a massive infrastructure project to connect Eurasia. But what is the Memorandum really about, and how will it affect the Sino-Italian partnership? Have a look at this video by KJ Vids based on my assessment to know more about this topic. The recent surge of tensions between India and Pakistan has brought the attention of the international community back on Kashmir. Yet, there is another player who has important interests at stake in the region: China. Its position must be examined to fully understand the strategic implications of the dispute as well as the geopolitical dynamics of South Asia and beyond. I had once more the pleasure to work with KJ Vids on this video, where we explore China's interests in Kashmir. Photo taken from: Hindustan Times. The “Made in China 2025” plan is a comprehensive ten-year-long initiative launched by the Chinese government in 2015 to upgrade the country’s economy by promoting innovation. Beyond the purely economic effects, this ambitious project also has important geoeconomic consequences; and this has raised concerns among other powers, notably the United States. I provided the background analysis for this video by KJ Vids that examines the implications of China's ambitious initiative. 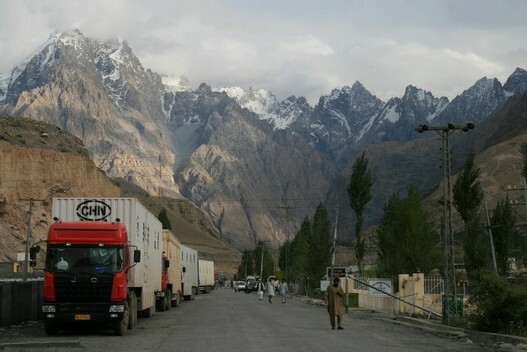 Is The China-Pakistan Economic Corridor Failing? The China-Pakistan Economic Corridor, or CPEC, is a massive infrastructural project announced for the first time in 2013. It is part of the broader “One Belt, One Road” initiative, launched in the same year and also called OBOR. However, the CPEC has recently received several setbacks that are raising doubts over its completion. So, what is the future of the project? Watch this video by KJ Vids, based on my analysis, to know the latest developments on this ambitious project (updated late January 2018).